Photo of the boy, Wang Zhiqiang, before he went missing. The boy's corpse had become a mummy. The corpse was only skin and bones. 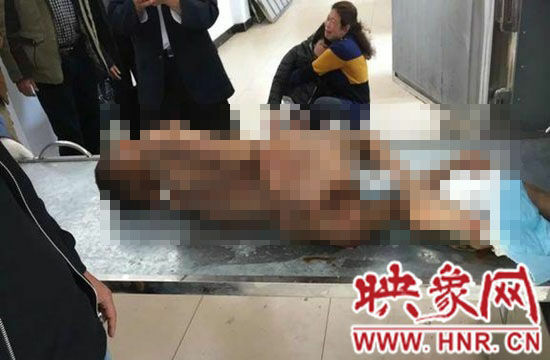 A villager in Xinyang city, Central China’s Henan province claimed that his son was starved to death at the city’s relief station, and that scars and wounds were found all over his mummified corpse, www.hnr.cn reported. 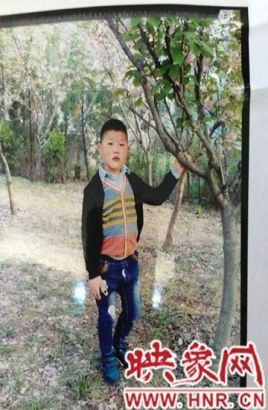 Wang Xinhong, a resident of the Linhe village of Xi county, Xinyang city, told the press that his 9-year-old son Wang Zhiqiang went missing on October 2, 2014. They had reported to the police and the whole family had been searching for him since then. About half a year later, on April 22, 2015, Wang read on the local newspaper about a child’s death, and immediately called to ask for details. With the help of Xinyang city’s relief station, Wang finally saw the corpse, which had already become a mummy peppered with scars. The body was later proved to be of Wang Zhiqiang’s. Wang Xinhong said his son weighed over 45 kg when before he went missing but the corpse was only skin and bones. The relief station refused to comment on this incident at the moment.